The Book of Chilam tells us that between the years 985 AD and 1200 AD, the Yucatan Maya were governed by a “triple alliance.” This alliance was composed of the three most influential city-states in the peninsula: Mayapan, Uxmal, and Chichen Itza. However, all three centers did not rise in power simultaneously. Instead, they appear to have each taken a turn ruling over the Yucatan Peninsula. This period, which became known as the “League of Mayapan,” is acknowledged by scholars to have been a period of great political stability. The end of this period was marked with open revolt and upheaval. It was at this time that the great Hunac Ceel, one of the greatest lords of Mayapan, was sentenced to be sacrificed in the Sacred Cenote in Chichen Itza. The Sacred Cenote is a huge hole that is 200 feet in diameter. Sacrifice victims stood on the edge of the hole and jumped, smashing into the green, murky water 65 feet below. The Mayans believed that the people who were sacrificed here did not die. They believed that they went to another world. Historians have found that largely women were sacrificed. However, sometimes children were included. No one knows why Hunac Ceel was chosen to be sacrificed on that day, but what they do know is that after the other sacrificial victims had all drowned Hunac Ceel jumped in. No one could believe it when he reappeared from deep inside the pool and claimed that he had spoken to the gods. Quickly, they hoisted Hunac up to the surface. Everyone was amazed at what he had to say and because they were so impressed by the miracle they made him their ruler. The first thing that Hunac did was chose Mayapan as the new capital. Then using his family name of Cocom he began establishing a new dynasty. Before long, Hunac began to mistrust some of his lords, especially those from Chichen Itza. So he set out to eliminate the lords in Chichen Itza who had become his enemy. 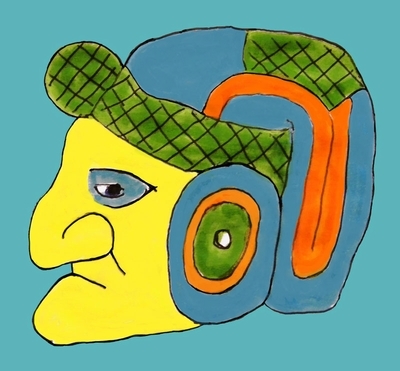 Hunac especially wanted to remove Chac Xib Chac who he considered untrustworthy. However, before he had a chance, Chac abducted the bride of Ah Ulil the lord of Izamal. Hunac had been looking for a reason to declare war, attacked and decimated Chichen Itza. The victory left the Cocom firmly in charge of the Yucatan Peninsula Maya. From this time on the lords of the other cities were forced to reside in Mayapan. For the next 259 years Mayapan and Hunac Ceels family maintained control over the Yucatan Peninsula. Mayapan would not fall until 1441AD.